Treetops at Harefield – an exciting new initiative! We are excited to share that we have created a holistic learning base known as Treetops. 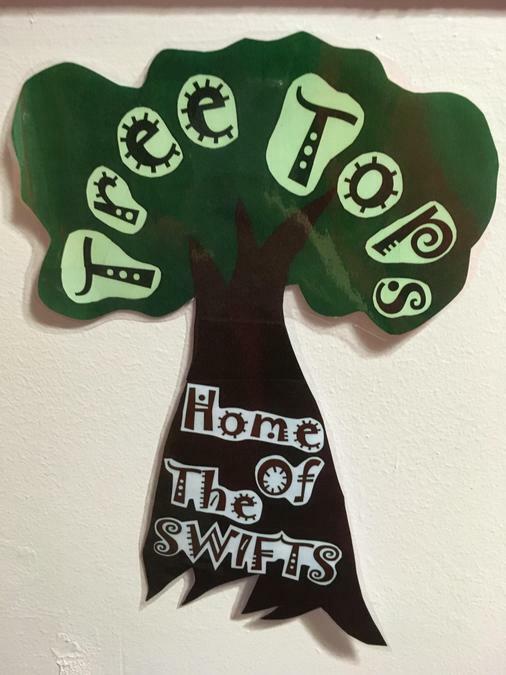 The children joining this base will form our swifts who will fly high into the Treetops of success. 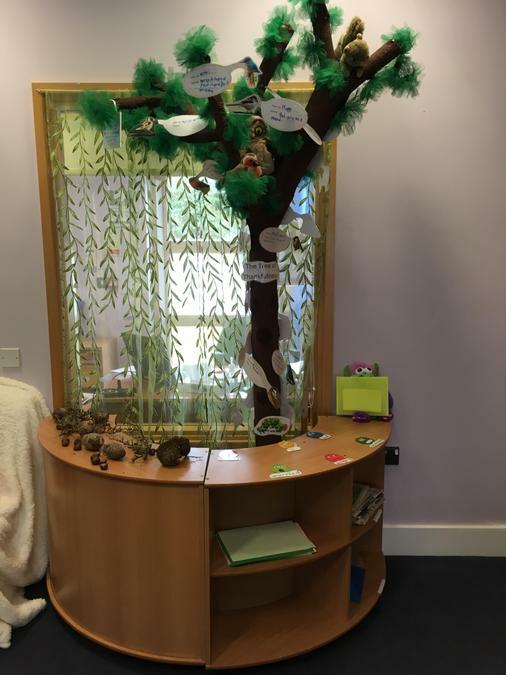 This base has been created in our learning space beside the current Year 1 base and is in a journey of transformation towards being a home from home for the children of Harefield. Treetops is designed to be a bridge between home and school; a place where children can feel safe and secure and therefore develop their individual needs further. The room has a table to share snacks, a beautiful seating area to play games and work collaboratively plus a kitchen area to prepare snacks. We are lucky enough to have access to the Year 1 outdoor space which will mean the children can access outdoor learning and play. What is the purpose of Nurture & its Philosophy? A Nurture group is a small class of pupils (maximum of 12 children). Its composition is carefully and well thought-out to create a balanced and functional group. The Nurture Group is part of the school’s Inclusion and PSHE (Personal, Social and Health Education) provision. Its purpose is to offer children opportunities to re-visit early learning skills and promote and support their social and emotional development. There is much research evidence to show that children’s learning is most effective when they have a sense of emotional well-being, good self-esteem and a feeling of belonging to their school community. Treetops will provide children with this opportunity and so helps to develop their maturity and resilience. Treetops is a place of learning. The philosophy of the Treetops is drawn from the principles established by the work of Marjorie Boxall and others, and exemplified by ‘The Nurture Group Network’ (www.nurturegroups.org). Has daily crafts, games, a ‘mini-tea’ and more! Why might children attend our nurture setting? How might Nurture help children? These sessions are meant to help them manage situations and increase their skills to become more successful learners. How often will children attend this setting? Children attend on a part-time basis for a period of 2- 4 terms, as recommended by Nurture UK. They will attend each afternoon Monday to Thursday. We will always ensure that the children do not miss special assemblies, guests in school, outings or anything else that may be different from the normal routine of the week.